WOW. That is really all I need to say about this. 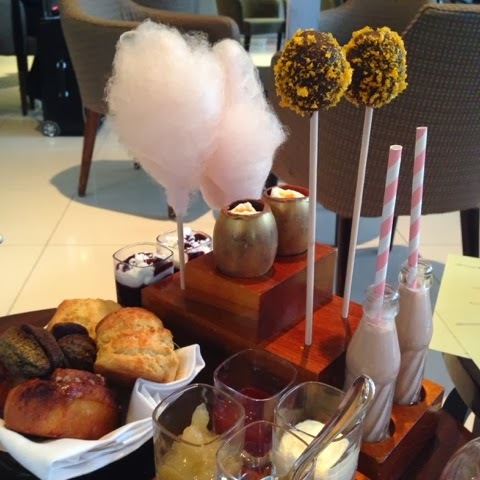 It was the most amazing afternoon tea EVER. 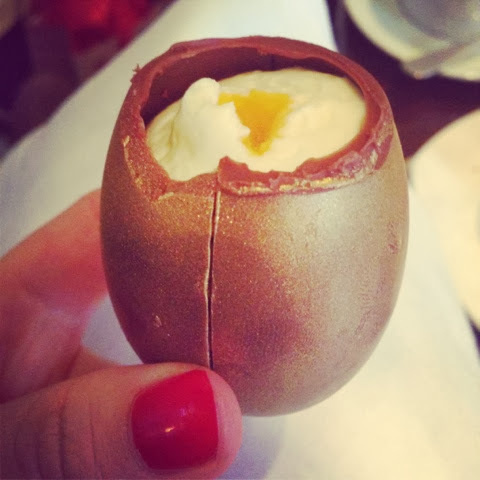 So, I met up with the gorgeous Jemma from Iced Jems which was a treat in itself as she's as lovely as I imagined and we went to One Aldwych in Covent Garden for a lovely Christmas Treat. 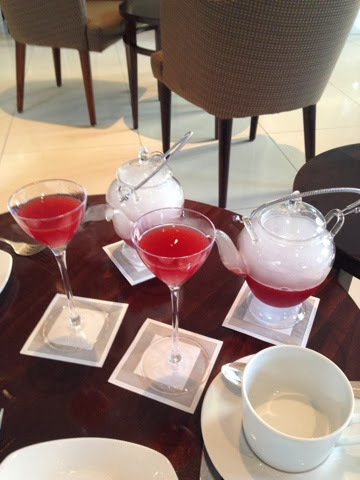 We started with the 'Cocktail Charlie' and we couldn't believe our eyes when it came out.... glass teapots steaming away. I was surprised to try it as it was iced cold - dry ice I imagine and it was pretty strong ! Well it would be seeing as it had Dalmore whisky mixed with Grand Marnier Cherry, chocolate bitters, grapefruit juice and cherry syrup. Topped with Champagne. It was delish ! And we just couldn't stop oohing and ahhing over the amazing presentation. Spectacular. We then had a wonderful plate of savories (sorry I didn't get a photo) but they were delicious. Warm scones served with plum jam, apple and meadowsweet compote, Devonshire clotted cream. 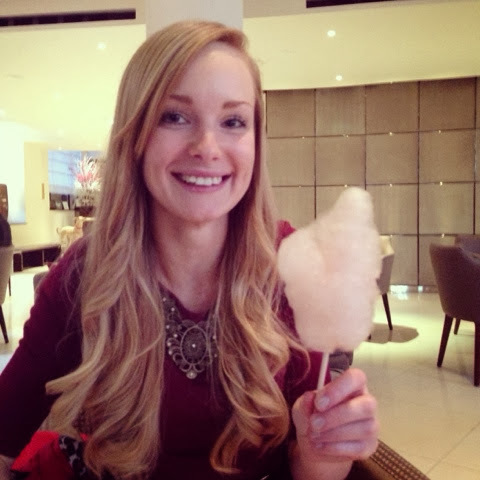 Here is the lovely Jemma enjoying her MINCE PIE flavour candy floss !! Incredible. So a really lovely afternoon being absolutely blown away by the creativity of the treats and an absolute feast for the bellies.